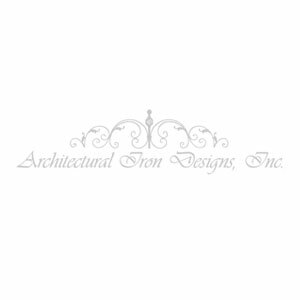 Our complete line of aluminum handrails, posts, balusters, and other items offer the beauty and protection of a traditional wrought iron fence without requiring much maintenance. They are available in a wide range of styles, shapes, and sizes that add prestige and value to any property. These ornamental aluminum products can be used for residential, commercial and industrial applications. Our aluminum castings can also be fabricated into posts, gates, mailboxes, handrails, stairways and more. Our low-maintenance aluminum railing systems will fit your home and last for years. These professional looking rails are simple to set up and are long-lasting. They are built with state of the art technology so that you can be confident in your investment. The unique blend of flair and practicality of our handrails will embellish your space while also ensuring safety. 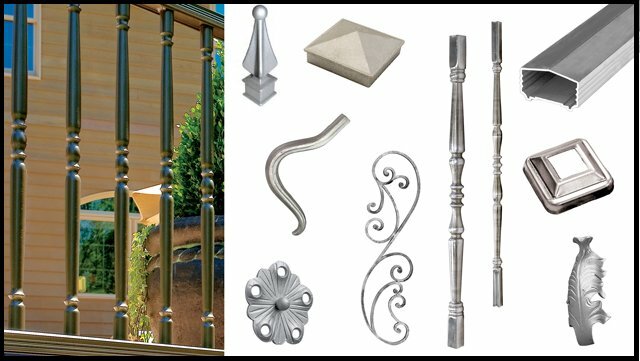 Choose and shop from the best collection of aluminum balusters and posts for staircases, railings and decks. Our range of products includes stylish hammered edge bars with decorative centers, square and round balusters, cages on bars and more. Pick your style from our exclusive collection that is especially ornamented to add a unique touch to your space. 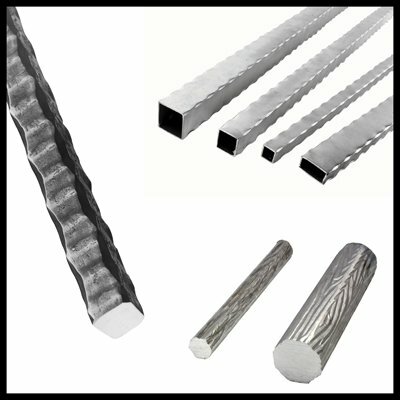 Check out our quality textured bars in aluminum for residential and commercial applications. These textured bars are best used in ornamental iron items, stair, and fence industries. Get best quality aluminum bars that are corrosion resistant at affordable prices. 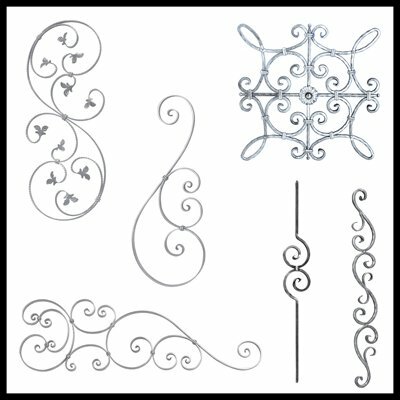 The decorative aluminum scroll panels are an attractive addition to walls, gates, and stairs. Add a personalized touch to your staircase and choose from our vast selection of aluminum scrolls that will instantly elevate the overall look of your home. 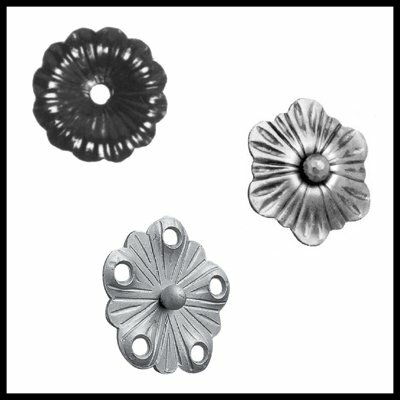 Now bring in a touch of sophistication to your home and office with our stylish aluminum infill castings. 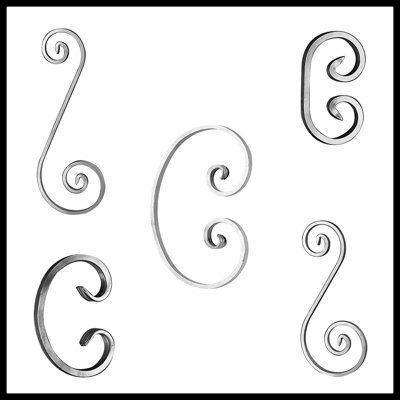 Give your architectural spaces an elegant finish with these ornamental aluminum infill castings. 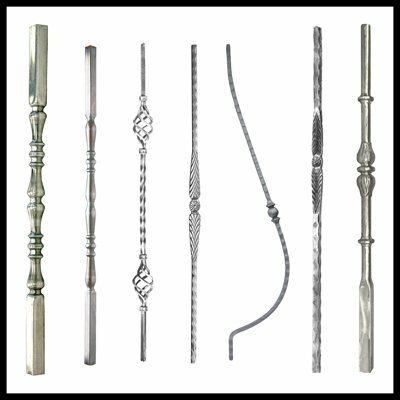 These castings can be used in stair railings and steps to add volume to the décor. 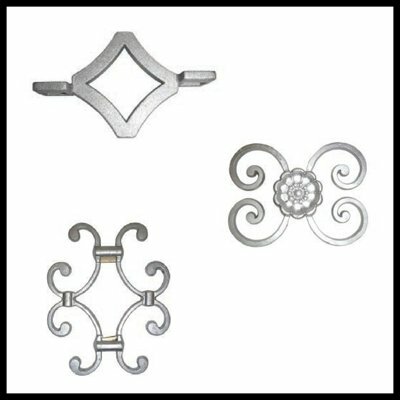 Aluminum rosettes can set a striking tone in any space of your humble abode. Crafted with precision, our metal rosette creates an artful aura that is eye-catching and is sure to spark a conversation. The aluminum rosettes come in all sizes and designs. Explore here for more exotic patterns of the rosettes. Our premium aluminum leaves represent the best in craftsmanship and design that can bring a classic sense of style to your home, both indoors and out. 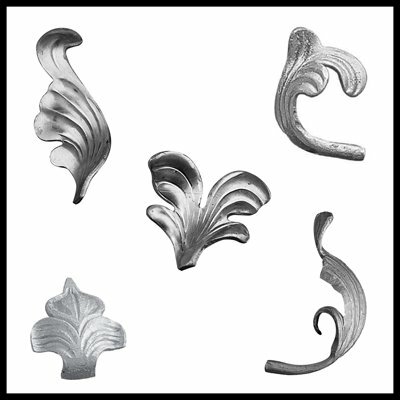 Get our aluminum decorative leaves that are widely used in railings, gates, grills and other places to boost the decoration and attractiveness of them. 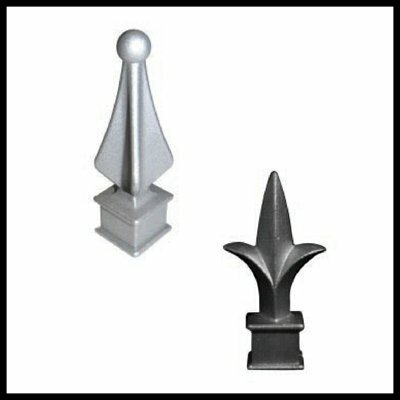 Buy our quality aluminum finials and railheads to enhance the look of your stairs, fences, gates, decks and more. These forged aluminum railheads can be used indoors and out on all types of construction from balconies to indoor balustrades or window grills. These finials are purely aesthetic and are a thing of beauty. Our aluminum scrolls can be incorporated into numerous projects, including gates, railings, balconies, fences, and furniture. 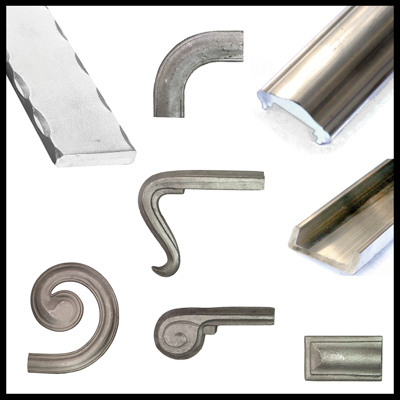 Scrolls serve as a focal point when used in any metal work and immediately draw in the eye of the observer. Add a personalized touch to your staircase and choose from our selection of aluminum scrolls that will elevate the look of your home. Choose quality aluminum rings and circles from our collection. These aluminum rings are best used for decorative accents in balconies, fences and gates as they are solid, durable and robust. 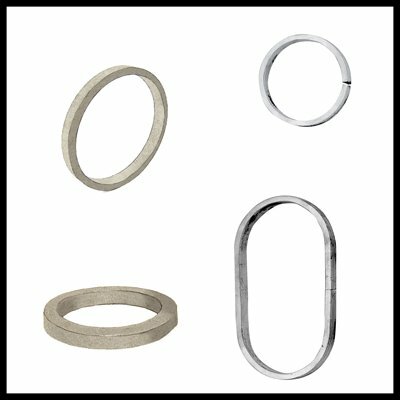 Shop online for our high-quality aluminum rings and circles. 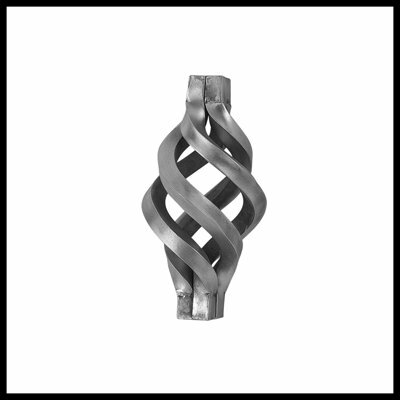 Our selection of aluminum picket castings add personality to any railing system, deck or fence. The architectural features of these pickets, combined with expert craftsmanship, offer a creative style that is popular in modern architecture. Embellish your space using our perfect accents especially designed for your stair railing systems. 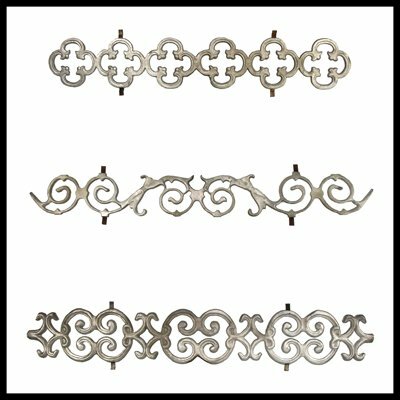 Shop our aluminum cover plates and shoes that are specifically designed to fit a wide range of balusters and posts. The shoes and flanges provide a sleek and classy look to the post or the baluster and also hide away any welding or holes at the bottom of the post. AIDI’s aluminum collars offer both beauty and durability. The designs of our aluminum collars can suit any project demand. They are attractive because of their sophisticated design and are easily adaptable in any space. 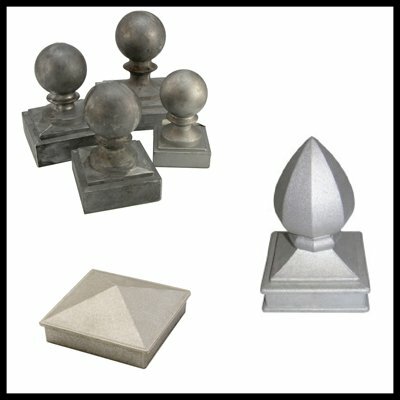 Find our vast collection of aluminum post tops here. They are available in assorted styles like ball post caps, pyramid post caps and pineapple post caps. 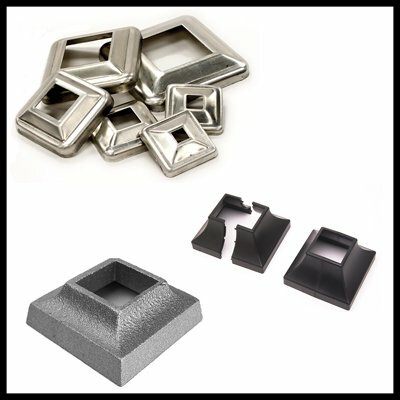 Add these gorgeous post tops to your aluminum fence and gate system to enhance its appearance. 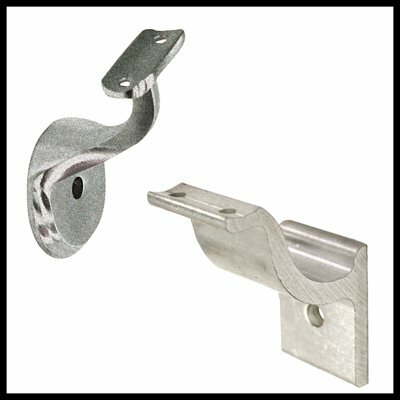 These handrail brackets are designed in such a way to provide support between the handrail and the wall. They can easily fit the shape of your rail and come in matching finishes to ensure safety and style in your outdoor or indoor space.